Hong Kong’s 100,000 retailers will all have to start charging for plastic bags from April 1. 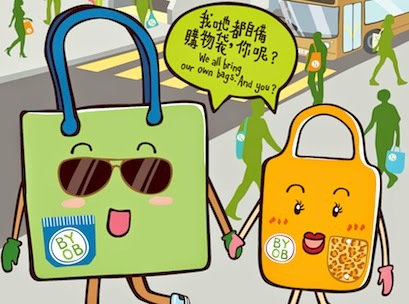 Hong Kong’s government introduced a levy on plastic shopping bags in July 2009, initially restricted to about 3500 chain or large scale store, mostly supermarkets, c-stores and drug stores. Customers are charged 50 cents a bag, with the levy transferred to the government. But in an expansion of the law, aimed at reducing the volume of plastic bags discarded every day, after three months of consultation in 2011, the government decided to expand the program. 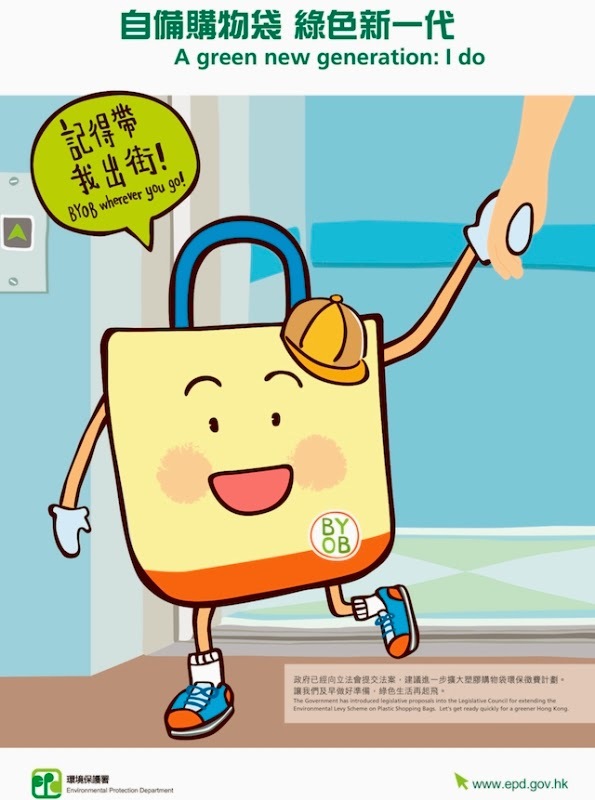 The resulting Product Eco-responsibility (Amendment) Ordinance 2014 will be implemented on April 1 and covers all retail stores – at last estimate, about 100,000 in Hong Kong. That includes wet markets, hair salons selling hair care products to customers and even tutorial schools. The most surprising aspect of the expanded program is that, unlike the first phase, retailers are allowed to keep the proceeds from the bag sales. The government hopes the mere imposition of the charge will encourage shoppers to recycle, and retailers to enforce the fee. It also removes the administrative requirement of accounting for and remitting the levies to the government. But Hong Kong lawyer and blogger Lam Ka Yan says there are too many grey areas in the new law for it to be effective. Lam Ka Yan says the extended scheme on plastic bag marks a big improvement on environmental law in Hong Kong as it can greatly reduce the number of plastic bags used. “However, the government should put a great effort in enforcing the law by sending officials to check if the stores are complying with the new law regularly. For small business, the amount of levy they can collect may only up to HK$100 per day. There’s little monetary incentive for them to comply with the new law, given no record checking is required. They may give the plastic bag to customer directly without charging to avoid any argument and retain a good customer relationship.